While TechRadar's US team in San Francisco basks in the summer sun, the UK team has been soaking wet for a month. The Motorola Razr Maxx enters the market at the same time as the Samsung Galaxy S3 and HTC One X, which both overshadow Motorola's effort - perhaps a spec boost could have been included alongside that bigger battery. 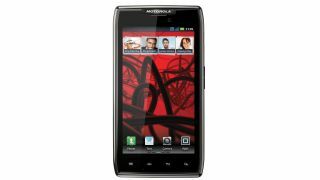 The Samsung Galaxy S2 is now on par with the Motorola Razr Maxx when it comes to pricing, but offers a better, 5 star, experience. The Motorola Razr Maxx does beat these next-generation handsets when it comes to battery life – its possibly only saving grace when faced with the stiff competition. If you're not too bothered about styling, slicker interfaces and extra features and just want a phone that will see you through a few days, then the Motorola Razr Maxx is probably the one for you. This is Panasonic's best Edge LED TV ever. It's not quite the high-end home cinema machine, but the sheer detail, smoothness, colour and contrast are a fine achievement – and the smart TV dimension and classy design help, too. Achieved in a seriously short amount of time, the brand that's famous for plasmas has here developed a super-slim bezel containing smooth, blur-free, contrast rich and immaculately detailed images. Home networking is comprehensive and VIERA Connect as slick as ever, though kudos goes to the VIERA Remote app that 'flicks' photos, videos and websites from smartphone to TV. A special mention goes to its smartphone app, though VIERA Connect's app-packed pages impress, too. However, a high price and some distinctly old-fashioned menu systems take the gloss off an otherwise assured package. The Sony Xperia U is a solid, well made little phone, that manages to squeeze a high-res and very sharp display into a modestly sized chassis. So if you're not caught up in today's obsession with enormous display sizes, the Sony Xperia U is a great choice of smartphone. It has all the speed, power and features of the larger Android models that cost two or three times as much - your only compromise here is seeing it all through a smaller display. The only noticeable weaknesses here are the phone's video performance, which is terrible despite the 720p claim, and the lack of onboard storage space. If you can live with those niggles, this does everything else just as well as the high-end Android flagship handsets. And the battery will last longer, too. There's nothing intrinsically wrong with Sony's approach to smart TV, but it's a competitive market and there are better, more affordable options than the KDL-40HX753. We're not convinced by SEN, which has a closed 'Sony Club' feel to it that we really don't think is much needed or wanted. As an all-round set though, it's worth considering not least for the thoroughly easy to use – though ageing – Xcross Media Bar interface that PS3 users will know well.